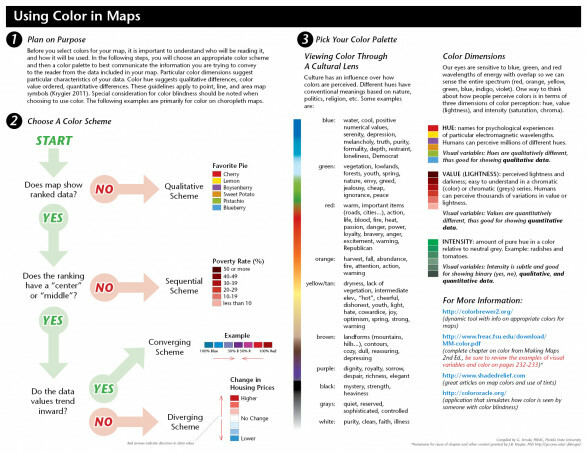 Using Color in Maps infographic by gstrode. 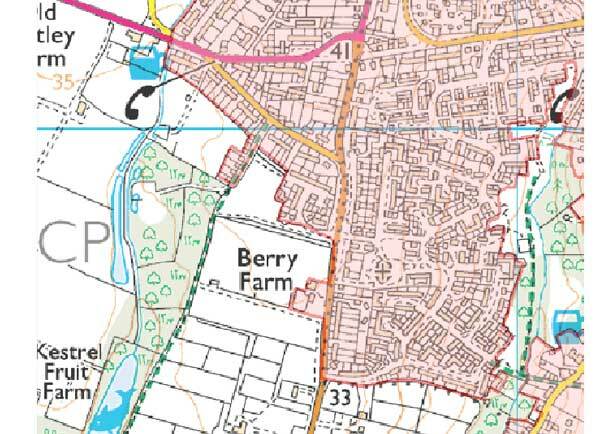 Will one day Open Street Map be more accurate than the Ordnance Survey? Chatham House has released a report where they use nightlight emissions and high resolution satellite imagery to look at the effects of piracy on the Somali economy and establish which groups benefit from ransom monies. Pirates appear to be investing money principally in the main cities of Garowe and Bosasso rather than in the coastal communities where pirate activity is located. The positive economic impacts of piracy are widely spread, so a military strategy to eradicate piracy could seriously undermine local development. Villages that have gained little from hosting pirates may be more open to a negotiated solution which would be to their benefit. 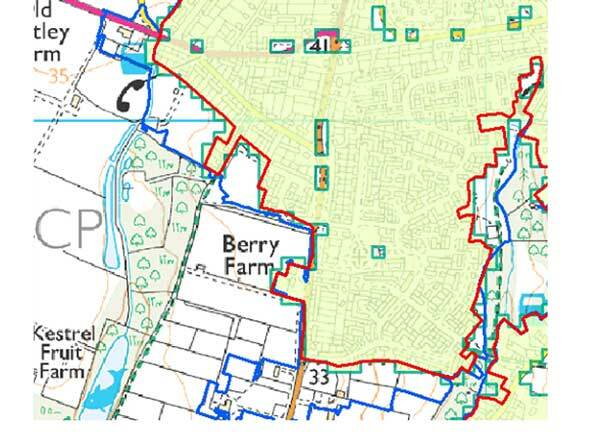 The Office of National Statistics is consulting on a new statistical boundary for the rural-urban definition. 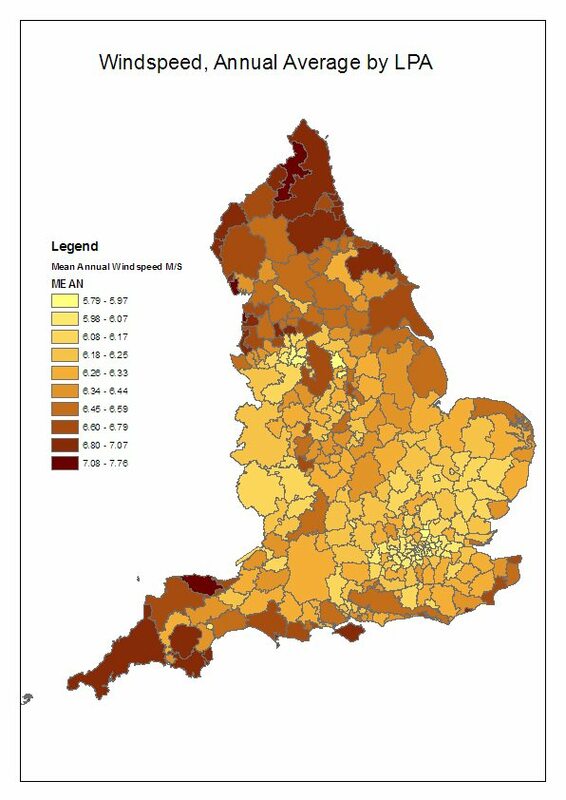 Although the amount of coverage of urban areas was quoted at the highest levels in the su7mmer planning debates we have not had an accurate delineation since 2001 – when it was 10.6 % – so no idea where the Prime Minister gets 9% from. Automatic based on polygons- very inaccurate will require manual tidying up or automatic based on 50m grid squares, as below (small holes would be filled in). On a national scale the three produce identical results. The issue is cost and usability. Personally from a GIS point of view you will need both polygon and raster versions of the dataset, polygon as an aid to planning, raster for analysis, and I can see no reason why the initial grid square results can be used with some simple programming to refine a polygon boundary. It just needs a good recursion based algorithm. I cant see why ONS needs to consult on their results of them not have solved a simple programming issue. the upcoming release of CityEngine is designed to tighten the link between GIS and 3D urban landscapes even further. However, the fact remains that CityEngine is aimed more at professionals in 3D content creation than at everyday GIS users. Urban planners, in particular, actually need a combination of the best elements of CityEngine (rule-based, high-end 3D content creation) and the best elements of ArcGIS (data management, analysis, and sharing), all made available in a workflow-based solution. Esri started work on a new solution to meet this need. The primary goal of this new solution is to make it simple to visualize, design, and understand urban environments, especially as cities explore more vertical solutions for people to live and work within. This new application will allow users to experiment with internal designs, proposals from developers, and even fundamental zoning laws (like maximum building heights and offsets) and get immediate visual and analytic feedback regarding the impact of these decisions. For example, approving a proposed high-rise development could impact many existing residents with increased shadows or reduced views. Or, changing zoning laws to increase the maximum building height could result in more residents than the current road or sewer network could handle. Designing urban environments, especially in the higher-density cities of the future, is a complex and critical problem GIS can help solve. Rupert Murdoch’s Daily project now has a md4-1000 drone – you can see the results of its flights on the daily drone where it has taken photos of disaster areas. Kashmir Hill at Forbes has been digging around and it seems that it use may be unlawful, but so might any commercial private drone, despite 1000s now being used from everything from crop monitoring to aerial photography. Excellent news the market leading but ferociously expensive GIS software will now be available for $100/ a year, ‘for existing ArcGIS users who want to use the same powerful software at home for noncommercial personal use and for individuals who want to expand their GIS skills.’ It also includes the key extensions i.e. A question arises if you use it at work can you use it at home for work purposes? Although the licence doesn’t cover this many of the licences are being sold through workplaces so it would seem that ESRI are taking a pragmatic stance. Now a lot of people will be able to work part time from home without their companies having to buy two licences or running complex virtual desktops (as slow as hell) in order to make use of floating licences.